Most metal detectors operate by using Very Low Frequency technology. Basically, this means that these detectors have two coils – one to transmit electricity and the other to receive it as it bounces back from objects buried deep in the ground. Pulse induction (PI) metal detectors are less common, but they are quickly becoming more popular. And in this article, we’re going to help you figure out which devices are the best of the best, so you can determine which machine provides you with the greatest value for your treasure hunting dollar! Pulse induction metal detectors use one coil as both the transmitter and the receiver. It sends pulses of electricity into the ground that generates a magnetic field. A typical pulse induction detector sends about 100 pulses a second. When the pulses hit a metal object, the field is reversed and the detector picks up that signal. If you plan on hunting in an area with high ground mineralization, a pulse induction metal detector is very important. Areas where magnetite hotrocks are common are places where you will want to choose a PI metal detector. This type of detector can find objects that are deeper than those found by VLF detectors. Searching on a salt water beach will be easier if you are using a pulse induction metal detector, as well. A pulse induction detector can often see smaller pieces of gold than other types of detectors. If you are looking for small nuggets or large flakes of gold, this will be the type of detector you want. It can also find other types of metal, so don’t think that just because many people purchase it for its ability to find gold that this is all you will find with it. It’s only been in the last 6-8 years that this type of detector has become popular. 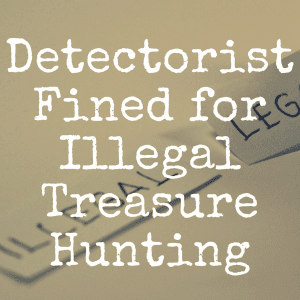 Most of the best known manufacturers of metal detectors are producing at least one PI detector within their detecting machine lineups. And now, here are five pulse induction machines that we think are all worthy additions. The White’s TDI Pro comes with a water proof spider search coil that measures 12 inches. It has ground balance controls that you can easily fine tune to suit the area where you are searching. Another feature is the pulse delay control that has simple labels so you can find exactly what you are looking for. If you are hunting near power lines or cell phone towers, you could get some electric feedback. This detector has an adjustment to avoid this feedback. A three way target conductivity selector and a threshold control are just two of the other features you will have on this detector. It has a price tag of around $1,800. The Tesoro Sand Shark is one of the least expensive of the most popular pulse induction detectors at a cost of less than $700. A lifetime warranty is one reason this model is so attractive to hunters. It is also very lightweight and has a coil size of about 8”. It has an all motion mode and is easy for anyone to learn how to use. This model does a great job on salt water beaches and works just as well in your backyard. 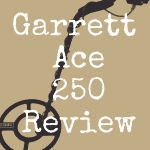 The Garrett ATX is a well-known model and the brand is one that inspires customer satisfaction. It has a price of about $2,500, so it might not be the best choice for someone who just wants to hunt every now and then. For a serious hunter, though, this is a great metal detector. One of my favorite features is the automatic ground balance that has so many levels you can search highly mineralized ground to salt water. You will never have to stop and switch modes – the machine will just do it. Its ground balance ranges from saltwater to ironstone. It will detect every metal you may be looking for without you needing to switch discrimination values. It will look for small gold nuggets as easily as it will search for old war relics. With maximum detection like this, you can relax and just enjoy your search instead of worrying about whether you might be missing something great because your mode is only searching for a certain metal. It is water-proof and can be submersed up to ten feet deep. You can easily use it for shallow dives or scuba diving. Electronic pinpointing makes finding your objects even easier and the coil is huge. The coil is 10 x 12 inches. A two year, limited warranty comes with the purchase. At a cost of more than $6,000, the Minelab GPX 4800 has features you may never think you will want or need, but once you use the machine, you won’t know how you searched without them before. The best thing is how easy it is to use – even beginner hunters can take it from the box, turn it on and start searching immediately. This amazing machine can find gold that weighs less than a gram to big nuggets. 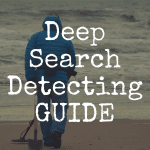 For most ground conditions, it has the deepest search ability of any metal detector. It has electronics to increase target sensitivity and ground balancing. This model even has six soil timings so you can easily find more gold. Automatic ground balancing allows you to just turn on the model and search in any type of soil. There are three factory set search modes or you can customize to search for just what you want. To avoid electrical interference, you can either push a button or set the amount manually. 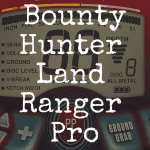 The GPX has a huge LCD display and is very light, so you can hunt for hours without getting tired. This model is safe for both fresh and salt water. 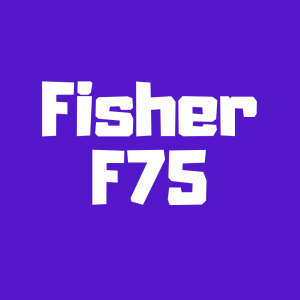 The Fisher Impulse is a little more money than a beginner may want to spend at a cost of about $790. However, for what it delivers, it is an awesome machine. It is submersible to 250 feet, so you can use this one to do diving searches and even the headset is water proof. It will detect all metals and is especially sensitive to silver and gold metals. If jewelry is what you really want to find, this could be the model for you. The Fisher can be used in black sand and salt water so you won’t have to worry about the ground minerals affecting your search. 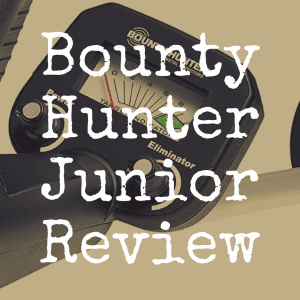 It does weigh a little more than many metal detectors at more than five pounds, but if you plan to search in water a lot, you won’t notice the extra weight. A lifetime warranty is also included with the purchase, so you will be more comfortable using it in rough terrain. Any of these pulse induction metal detectors will do a great job of finding treasures for you. 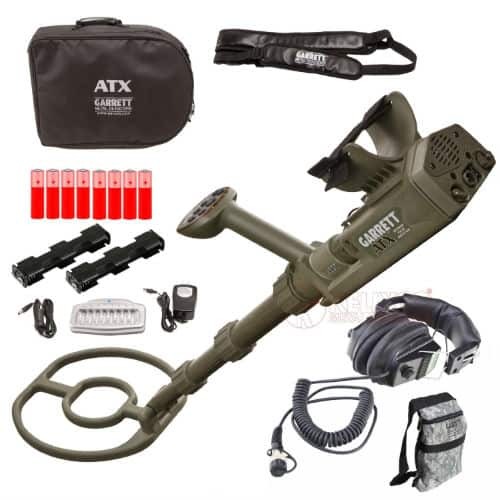 However, if you truly want the best of the best, the Garrett ATX is the most popular because of the amazing features and the price tag. We hope you enjoyed this article! If so, we’d love for you to “like” our brand new Discover Detecting Facebook page! 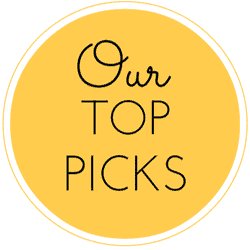 For more reviews of metal detecting machines, be sure to bookmark Discover Detecting!